With over 2500 moves per year and growing, Mid-West Moving & Storage is dedicated to providing a great experience. In 35 years of business, this equates to many if not most of our customers referring their friends and family our way. See what some of our customers are saying about us. Check out this voice recorded review from one of our recent customers! Crew was a great group at both load in and load out. Got there a day earlier than expected; really helped ease the stress of moving across the country! My driver Laimutis Petkevicius was absolutely exceptional. My hope is you can reward him someway within the company but his work ethic and determination to exceed my expectations was inspiring to say the least. He went above and beyond the call of duty and ensured I was more than happy with the move. Well done! Your relocation services were outstanding. We were especially pleased with the exceptional service and expertise that were given to us by your moving crew of Nick, Juan and Cipriano. Their professionalism and accommodating our needs were outstanding. They should be considered a great asset to your company. We would highly recommend your company in the future. If I could give them a “10” I would!!! Perfect move, everything was on time, efficient, packed well, and handled with care. Nick and the crew knew what they were doing and took care to make sure everything was as it should be!!! This is as good as a move gets, I can’t thank you enough!!! Thank you to Graham, Tara, and your entire team for the wonderful job on our recent office move. Both you and Tara were instrumental in ensuring that we had a well prepared plan in place. Nate Carter and his team executed the plan in an organized, efficient, and timely manner. They are true professionals and a pleasure to work with. Best of all, we finished ahead of schedule! We will definitely spread the good word about Mid-West Moving & Storage and will keep you in mind for future moving needs. Since I don’t do surveys, I just wanted to let you know that we were very happy with both crews that handled our move, as well as all those involved from your office. They did everything they could to help make our move go off without a problem. We will definitely recommend Midwest Moving to our friends and will be calling you when we make our final move to Florida. Thank you again for helping us out with our move. The crew did an excellent job moving our stuff. I was really happy with the service I received from Midwest. I worked with Dave on the quote and he said he doesn’t like for actual charges to come in higher than quotes, which I appreciated because I had previously worked with a company who gave me a quote and then the final charge was a few hundred dollars more. And true to his word, the quote was on point. Then I was assigned a moving coordinator who checked in with me periodically before the move in case I had questions. The three movers who moved my belongings were also great. They took great care of even my crappy Ikea bookcase and worked quickly. They were friendly and nice. I would definitely use Midwest again and would recommend them to others. My experience with Midwest Movers was top notch. Great customer service, and the crew who moved my stuff were friendly, competent and FAST. The actual work was BELOW the estimate, which is rarely the case. The only hiccup was that a second stop wasn’t communicated from the home office to the movers themselves, so we had to do a little reworking, but it all worked out in the end. I would work with Midwest Movers again in a heartbeat! Hi – Excellent experience. I have moved across states about 14 times…so, I anticipated a move within Chicago would be a piece of cake…and it was. Mid-West has great customer service from the sales representative to the crew. We were asked by crew members and the dedicated customer care representative whether we were satisfied with the way the move was going. The three-man crew worked hard…wrapping my furniture, assembling my bed, etc. They never stopped! The estimate was well below the actual cost..but, they were charging by the hour…and there was never idle time – so, I think the cost is appropriate. Now I sit with over 150 boxes…and to this point, no damage. So all is good so far. They really seemed to care about our belongings! 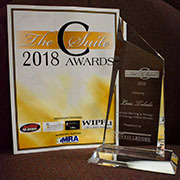 Thank you Mid-West moving and storage. From first point of contact Midwest was stellar. We moved from Chicago to east central IN, with a stop to a storage facility on the way. Everyone was so helpful and professional, from Esther, who visited our home to do the inventory (and made fast friends with our normally suspicious-of-new-people dog), to Natasha, who helped with a bank card snafu, to Ryan and his team who were very efficient and friendly. Highly recommend! 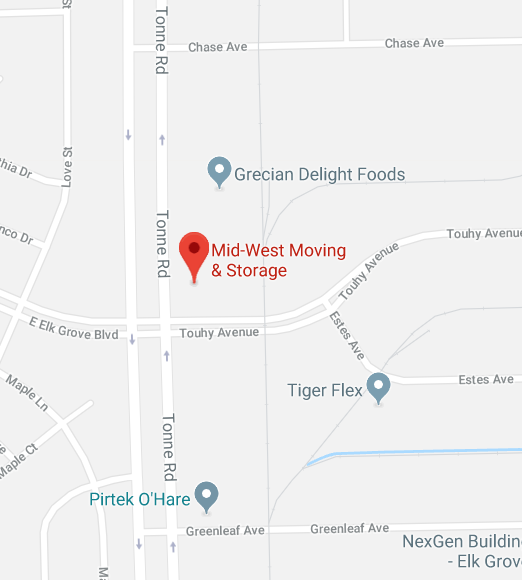 Be SURE that you are contacting Midwest Movers in Elk Grove Village to get this company, and not the other, dreadful-sounding one. Midwest Moving & Storage were incredibly timely, quiet, and hardworking. Many compliments were made by our program office and employees in the building about how surprised they had been at how fast and unobtrusive Midwest Moving & Storage were in their delivery performance. Midwest Moving & Storage were very flexible with any issues or concerns that our program office and our contracting office had. They did everything possible to make sure to satisfy our requirements. Midwest Moving & Storage were very reasonable with making sure we stayed within our budget and were always willing to alternative solutions to save the Government money. Staying within our budget has never been a concern when dealing with Midwest Moving & Storage. CBP has really appreciated Midwest Moving & Storage’s flexibility and efforts in this matter. Midwest Moving & Storage conquered any problem they had faced. They were flexible and resilient to finish their work in a timely matter and on schedule. Midwest Moving & Storage were very adaptable to our needs and our request to change schedule. Our program office/ customer took the time to email our contracting office to commend Midwest Moving & Storage’s professionalism and efficiency throughout their work. Midwest Moving & Storage were very organized in laying out a strategic plan and executing right on schedule. Our program office were overly appreciative of the quality of service and efficiency that Midwest Moving & Storage exemplified. 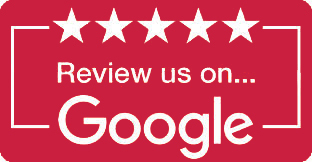 Midwest Moving & Storage’s staff were respectful and professional. Their workers got the job done in a swift fashion without disturbing employees in the building. They executed the project work scope to the highest quality. These people were wonderful! They managed to fit the move in to meet a very tight schedule which was a blessing. When the team came they were organized helpful and kind. Let’s face it, moving is stressful but the team at Midwest their attitude and finding a way to get the difficult items moved was wonderful!!! Everyone should have the good fortune to find this team at their door on moving day. Arrived exactly when they said the would, prepared the house for the move by covering floors, doorways, carpets, banisters. Communication was great! They called off box and furniture numbers as they entered the house. They were careful with furniture and willing to help set-up beds, shelves, etc. Everything was placed in the correct room and stacked neatly. They were respectful of us and our belongings. Very professional and efficient. Pleasure to do business with you. Delivery was great and the guys were the best!!! Quick, efficient, careful and very pleasant – would definitely use again. Fabulous crew and leader. They made everything easier than expected and were courteous, helpful and good-natured throughout the process. Good service and the customer service was really good. Everyone was very helpful as well. Very professional and courteous. Quick packing and very careful. Midwest has always done an outstanding job no matter the move. Midwest has a great team of movers. Keep up all the good work. Normally moves are stressful for the client, but not with Midwest, they take all the stress out of moving. These guys were great, on-time, very respectful of our homes and property. It got tight at the end and they got very creative to have everything fit in one load. Thank you. I wanted to take a moment to recognize your team that moved us last week and share our feelings about your company….You should feel fortunate to have the crew that showed up early at my door step last Monday, in the rain. I was sure with some of the large, fragile and very heavy items coupled with the nasty weather it wasn’t going to be a good day… Their professionalism, great attitude coupled with politeness and work ethic became very obvious early in the move. They packed the content of my entire home without incident in about 4 hours and after a quick lunch unpacked it into my newly remodeled home without a scratch, ABSOLUTELY AMAZING! With my experience moving freight, the fact that all my possessions could be loaded, moved and unloaded without a scratch to anything in 9 hours is a stellar achievement! Again, I must reiterate…you have GREAT people. This was our 3rd move with Midwest. I can’t say enough about the crew. They did an excellent job. Thank you. We will highly recommend your company to our friends & family.